A year ago, we were at the very start of a new journey. We had a new name and a refined mission, and we were excited about the work we were doing. We also came up against some real challenges of not having a team, funding or the support we needed to build on that work. We were understaffed and overwhelmed, so much so that we had to postpone one of our key programs. We moved out of our long-term home at Allied Media Projects, into a new space where we had few connections. So much was new and unclear, but I am proud to say that we have grown from many of those challenges and now we are doing our best work ever. I want to take a moment to highlight some of our achievements from this year. Bachata at the Rida Institute! We put the people in PIE. After many years of work, we’ve finally built a team of people here to support our mission. Our new Fundraising and Communications Assistant is making waves in our grant, social media and email communications channels. And our artist-in-residence (AIR) work has been expanded and streamlined thanks to our new AIR Coordinator. Growing our administrative capacity has allowed us to launch new and improved programming. Trash Life has been our biggest media release ever! The film was created during the 2016/2017 school year by The Painted Turtles, a classroom of first and second graders at the James and Grace Lee Boggs School. Their teacher Kelly Rickert and PIE teaching artist Matt Daher facilitated the filming process along with PIE Arts Assistant, Ever Bussey. This past spring PIE showcased Trash Life at Cinema Detroit, and over 100 people — family and friends — came out to see their work and hear their experiences during a panel after the screening. This was an outpouring of love, and we’ve never been able to screen a media project at this scale! The film has gone on to be screened at Allied Media Conference and the Place-Based Education Conference at Eastern Michigan University, and it’s just shy of 500 views on YouTube. Our work with Trash Life has set a new standard for how we put media into the world! 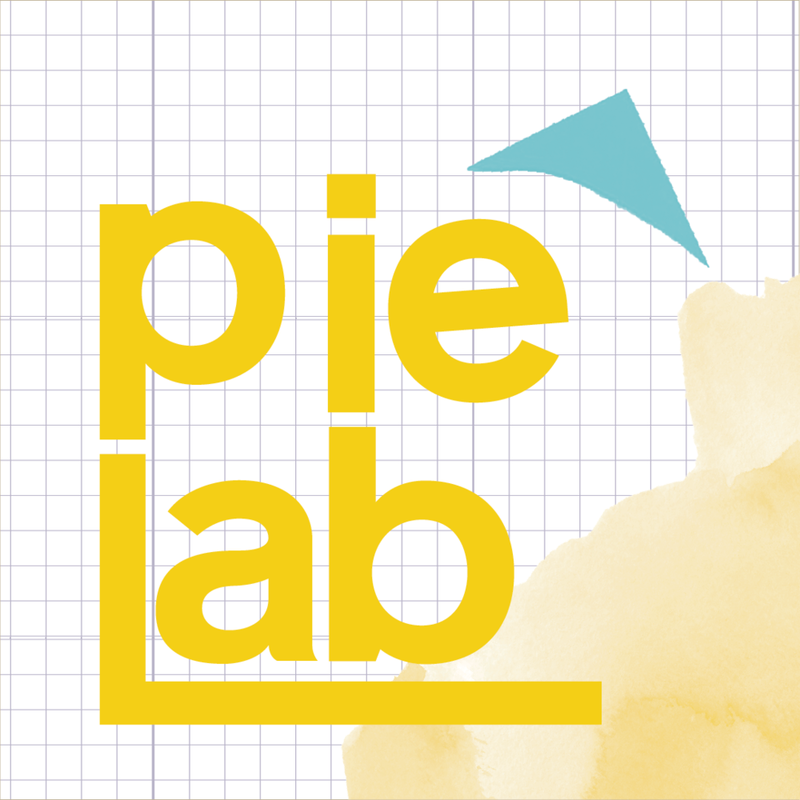 This fall, we launched our very first PIE Lab, a training for Artist Educators to cultivate skills for facilitating collaborative art projects. Training artists to be facilitators has been a profound need at PIE and at other arts education projects. At PIE, we are uniquely suited to provide that training, between our eight years of hosting artists residencies and our experience of facilitating trainings for educators. 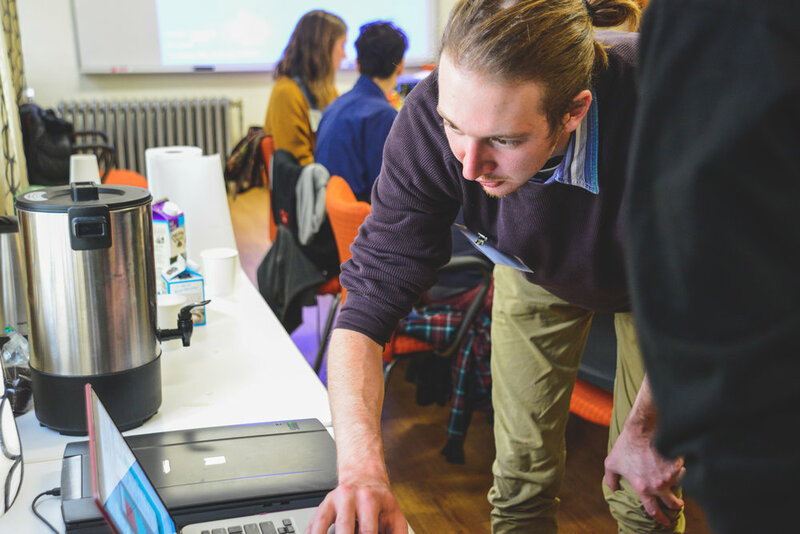 PIE Lab yielded even more learning and some amazing, collaborative media — check it out here! We’re excited about this beautiful community we’ve created and we look forward to offer it again in years to come. OMG! I mean have you seen our 2018 programing!? It’s fire! This year we’ve refined both our teacher training -- the Rida Institute -- and our artist residency, allowing us to train the largest Rida cohort since the first year we launched it. With our AIR program, we are exploring one theme across all three projects: school lunch. We launched the artist residency this fall with our first community partnership at Alternatives For Girls and we’re excited get to work. This is still the beginning of our journey, but we have made significant strides and we’re more clear about how we want this work to grow. At the start of 2018, we set out to grow through relationships with operation PIE Pals, and this is just what we’ve done. In 2019, we will make media that creates a platform for our young people to tell their stories about schooling. 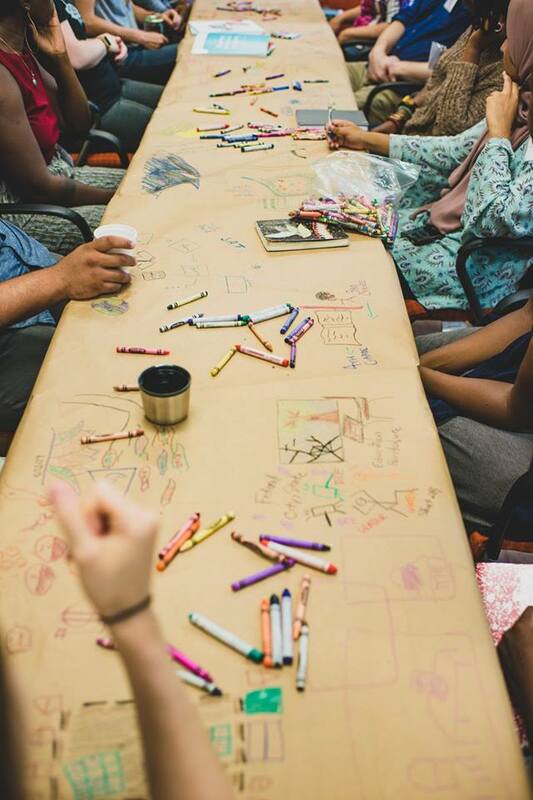 We will continue to facilitate spaces for artists and educators to connect to their personal purpose and develop relationships that celebrate and support them through questions or burnout. Our work to humanize schooling is a commitment to change that happens through people, and we want to make media and spaces that honor people-centered transformation. Our work wouldn’t be so dope without our community -- our woes -- showing up, coming through, liking, reposting and just sending good vibes. Thank you. We’re excited to do more and we hope you are too! Give to PIE, and help us continue to create humanizing classrooms. Thank you for your support, in thought and in deed. In August, 16 compassionate educators from across Metro Detroit convened for our 2018 Rida Institute Summer Intensive. In the five years we have lead this training, every year we’re surprised by how it unfolds. With each iteration, we work to refine the training and to weave in our new learnings. Our purpose with the Rida Institute is to facilitate a transformative space for educators to create more humane lives and more humanizing educational spaces. 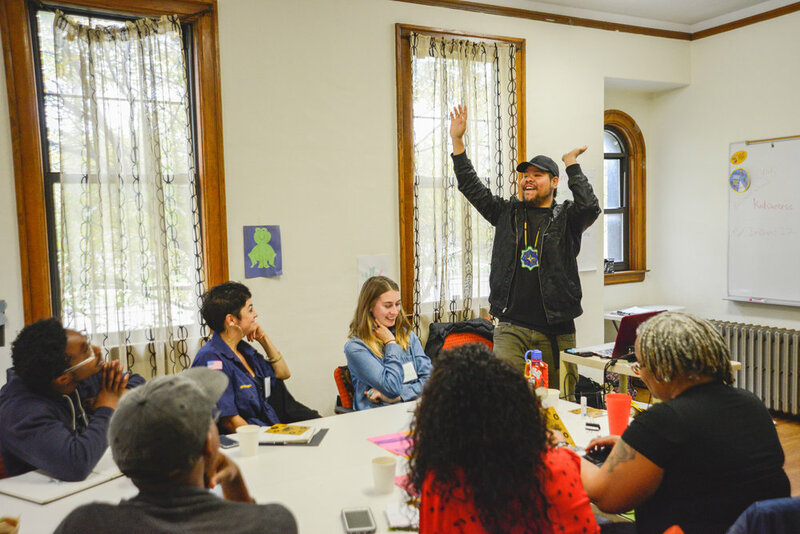 This year, we centered connection between people in the classroom, brought amazing guests to enrich the space and explored to reaffirm commitments to our purpose as educators. When you are connected to yourself and to others you are much more able to show up, and how we show up as educators sets the tone of all the work we do. Connection can invoke joy, create space for collaboration and help turn strangers into co-creators and idea collaborators, into project partners and friends. What happens if we begin from this frame of reference in our classrooms everyday? At Rida, we return to this practice several times; over the three days it is always our starting point. 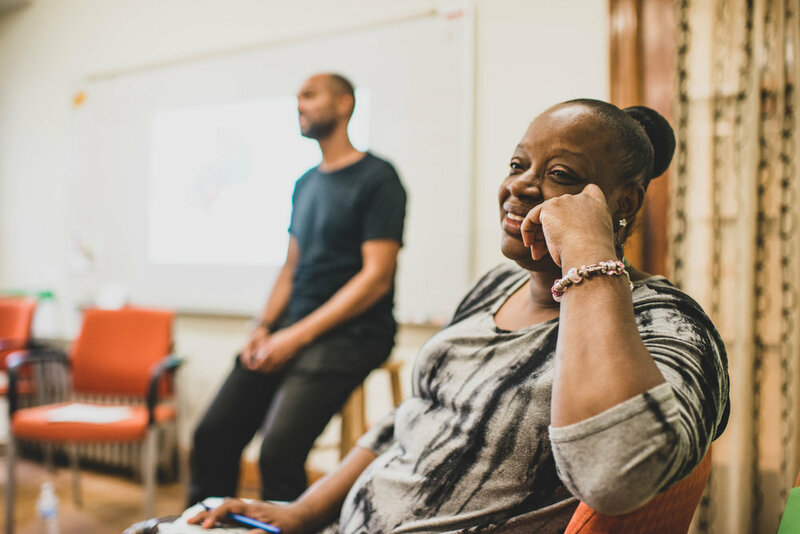 At the Rida we practice connection by inviting educators to use simple questions as tools for building relationship, and what usually starts as a quiet space of relative strangers explodes with voices speaking about their values, their lives and their work. So often as educators we want our students to build relationships, but we rarely have the opportunity to practice doing that ourselves. It turns out making connections can be simple but we rarely make room for it, blaming busy schedules and urgent content. But starting with relationships between people learning together is just as important. One of our favorite components of the summer intensive is highlighting the voices of people representing disparate intersections of education. Guest presenters activate the space and provide necessary dynamism to our ideas about humanizing schooling. Four guest presenters -- more than we’ve ever had -- shared their expertise on what it means to create humanizing educational spaces. Five young people from 482Forward Youth shared the motivations, learnings, successes and hopes of their work in education policy across Michigan. Activist, healer and author adrienne maree brown spoke about employing emergent strategy to transform a classroom into a collective creation between educators and students. Author and educator Carla Shalaby illuminated the impact of punitive practices in schools and reintroduced us to the troublemaker as a resistor to dehumanizing classroom management. 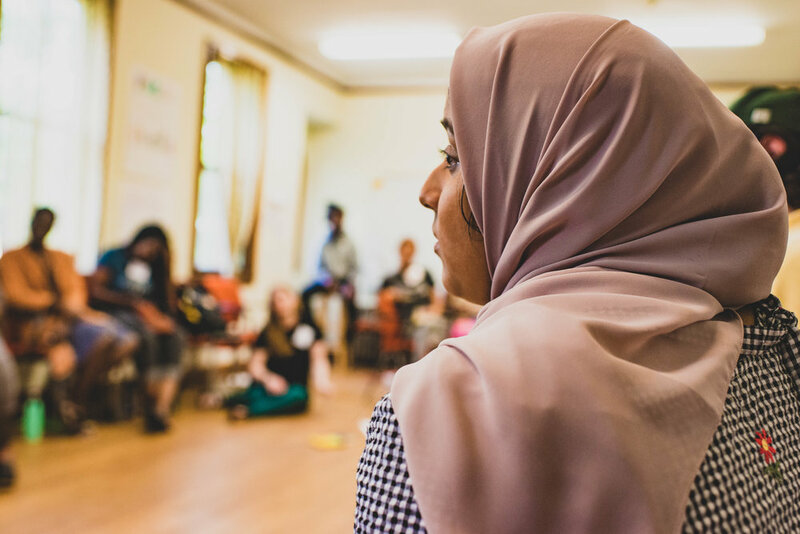 Educator and former PIE Director Ameerah Saidi gave us a glimpse into her classroom, demonstrating how content becomes a tool to explore and challenge the status quo. Our purpose is our reason for being and doing, and it’s an incredible source of power. In a system where teachers often feel unsupported, overstretched and disempowered, returning to their purpose becomes a vital for their resilience and ability to create relevant and compassionate classrooms. If we aren’t clear on why we’re in a classroom, we are beholden to the multitude of tasks that appear day to day. When we are present on purpose, we are clear about what our job is as educators. From this point of clarity, teachers can cast out the distractions that often lead to burnout and focus on the work that gives us life. This is the sentiment we aim to awaken in educators when we ask them to explore and refine their purpose for doing this work. Have you ever fallen in love with a room full of people? You look around the room and feel deeply connected to every single person in that room. You are bursting with benevolence and hopeful wishes for every person. And you just want to see each of them blossom into the biggest, baddest flower you ever seen. That is how we left this year’s Rida summer intensive -- connected, inspired and ready. We are so excited to continue working with these teachers throughout this current school year, as we meet monthly to support each other in bringing our purpose to fruition in our classrooms. You can learn more about PIE’s practices and the Rida Framework in our Guide to Humanizing Schooling. Read the guide online or purchase a copy at the AMP Store. support our work in training teachers to create humanizing classrooms. 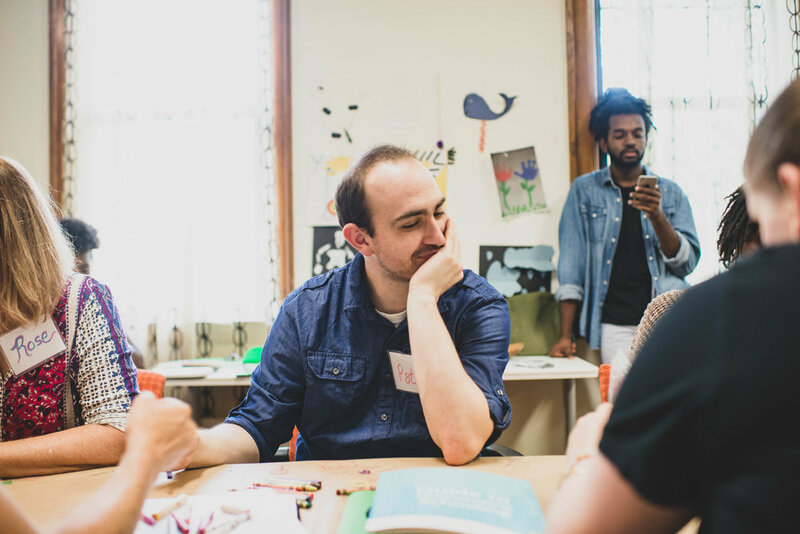 In October 2018, we gathered with nine Artist Educators at Brilliant Detroit to explore what it means to work at the intersection of art and education. Over the years we’ve seen that oftentimes, artists are working in community without a network of support. For three days we dived into the challenges many Artist Educators face. We also looked at the strategies they use to do this work. It was an outpouring of lessons, and we want to share a few in reflection. Artist Educators work at intersections, not only of art and education, but also organizing, administration, advocacy, design and more. These intersections culminate into one of the greatest strengths of this work and make finding your way to this work difficult. It also makes it hard to find spaces that allow you to improve your craft as an Artist Educator or find peers to have conversations with about where the field is heading. Many Artist Educators start by doing work in classrooms and communities that is well intentioned. Sometimes the results are good and other times they are harmful to students, to that community and to the artists’ development. Because there is a demand for this work but there aren’t spaces to help people develop into Artist Educators, many artists are given jobs in communities without the skills they need to be successful. Over these three days we attempted to solve this problem by creating a space for Artist Educators to come together and define what they do, to discover best practices and learn from one another. PIE Lab was made up of three parts. Each day we actively created art together, we explored big questions and we heard from other artists who are doing collaborative creating in their communities. On the first day, we explored how our own training as artists impacts how we show up as facilitators. We acknowledged that many artists are developed in a competitive environment, which is a sharp contrast to the collaborative work of an artist educator. We also heard from Sacramento Knoxx and Raychel Gafford from The Aadizookaan about how and why they use art to organize their community in Southwest Detroit. On the second day, we identified and refined our purpose as Artist Educators. We worked together to explore how that purpose can impact our facilitation. We also heard from Jova Lynn Vargas about her work balancing a career as a teaching artist, curator and manager of her own personal studio practice. On day three, we sat with Sterling Toles and talked about his approach to making art as a form of collective healing. We then wrapped up by exploring PIE’s approach to media making by creating together. Across the three days we pulled from the last eight years, where we at People In Education have used media-making as a process of empowerment. 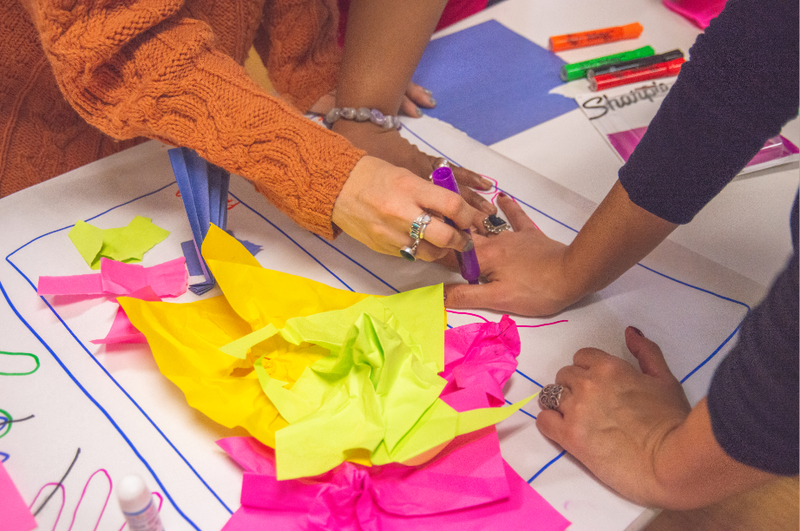 We’ve used the creative process to investigate and address the issues in our communities. Media- making isn’t the end goal—it’s the vehicle through which we develop essential skills around connection and curiosity. This is a growing field, and we hope that our work at PIE Lab can contribute to the development of this practice, of artists creating with and within communities. 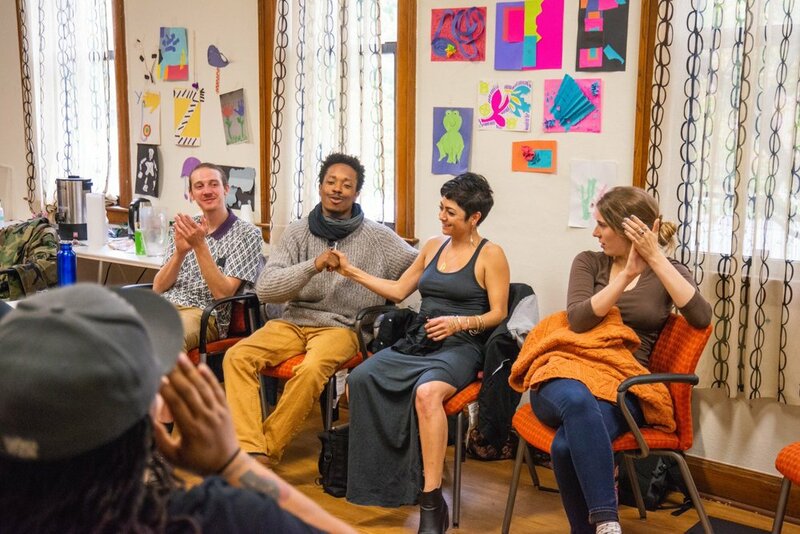 November marked the first quarterly meet-up in a series that will provide further professional development opportunities and cultivate a supportive community where artists can troubleshoot challenges and share successes. Starting next year, these meet-ups will continue to take shape according to the inclinations and curiosities of the artists. A part of this continued convening of PIE Lab participants is an opportunity for them to observe each other’s community work, reflect and offer feedback. And three PIE Lab participants are a part of our Artist-in-Residence (AIR) program, so stay tuned to see their upcoming work with young people and Detroit education communities around the theme of school lunch. People in Education is looking for classrooms, schools and organizations to partner with our artists-in-residence, starting October 2018. The Artist in Residence (AIR) program partners with artists, school communities and students to make media that uncovers stories at the heart of the schooling experience. Over four months, we explore a complex education issue, resulting in a collaborative, digital media project. This year, we’re looking to change how we make; instead of creating projects on varying topics, we want to focus all our media projects around a central theme: school lunch. Often in policy and reform conversations about schooling we flatten the complexities of the issues, attempting to make them easier to comprehend or measure. From there, we develop flat solutions that fail to address what is truly at the core of the education crisis. This new model will allow us to get multiple angles on one part of schooling and show how complex it really is. Click here to see some of our past collaborative media projects. In seven years of working with young people in Detroit classrooms, there is always one topic students are hungry to discuss: lunch. When it comes up, the stories pour out: “One time, I had brown alfredo sauce?” or “A bread and cheese sandwich? It ain’t even grilled sis!” And it's hard to talk about anything else because A) the stories are hilarious and B) the feelings run so deep. 1. What are young people really eating? Detroit is known for being revolutionary in its school food programs. We want to hear how young people feel about school lunch in Detroit and what they’re actually eating. Just because it's served doesn't mean it’s eaten. 2. What else is going on in the lunchroom? Lunchroom politics can be a hot topic, rich with social dynamics and institutional rules. We want to see what young people think about things like the design, multi-functionality, interpersonal interactions, expectations from adults about noise and seating (just to name a few) in their cafeterias. 3. What is the importance and impact of student choice at lunch? There are lots of assumptions about the food choices young people make. More often than not, adults question their ability to make healthy choices. We want to know how students understand the choices they make around food. Work with young people on art, technology, health, food and/or issues in social justice. Can work with a consistent group of students over the course of the four-month program. Are open to a collaborative creating process between themselves, their students and PIE artists-in-residence. If you’re interested becoming an AIR partner, complete this form by September 17 to tell us a bit more about yourself and your work. The form will take about ten minutes to fill, and we’ll follow up later in September with more details.